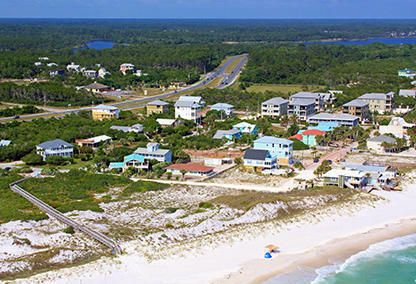 The gateway to Scenic 30A and eastern Walton County, Inlet Beach real estate is bordered on the north by Lake Powell, the area's largest Coastal Dune Lake and on the south by the Gulf and beach. This area of beach is undergoing a lot of growth with a hotel, two new commercial centers and several new developments currently under-way. With an eclectic mix of homes and condos, whether your dream is to live lake-side, beach-side or close by; Inlet Beach easily "fits the bill". BOOKMARK YOUR DREAM HOME IN INLET BEACH TODAY! Situated on the south-eastern corner of Walton County is where you'll find the homes for sale in Inlet Beach, FL– so named because of its proximity to Phillip’s Inlet on the shared county line with neighboring Bay County. A dedicated, 13-acre park, located at the end of South Orange Street in Inlet Beach features the largest public beach access in South Walton County. The public beach park has plenty of parking, several shower facilities and features wooden board walks leading to the beach that span and protect beautiful rolling sand dunes and sea oats. Once known as “Soldier’s Beach” in the late 1940’s, Inlet Beach got that name from a post-World War II land lottery purchase program for War Veterans. An eclectic mix of homes for sale are found in Inlet Beach, FL ranging from block-style, Old Florida cottages; A-Frames; and elevated homes on pilings. 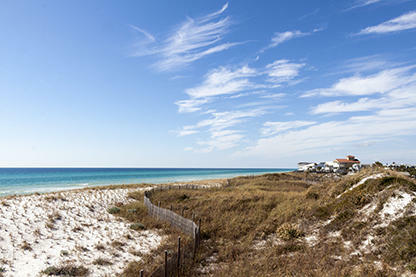 In most years with an increased popularity of the 30A area, there has been an upswing in building activity toward much larger, luxury, coastal homes similar to those found in neighboring Rosemary Beach or Watercolor. The area of Inlet Beach is roughly comprised of 550+ acres. Even though Inlet Beach is located in Walton County, its zip code (32413) is the same one used for Panama City Beach in neighboring Bay County. 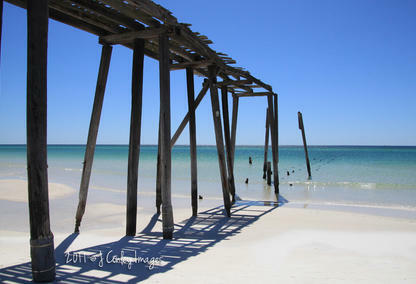 Camp Helen State Park and the iconic Old Inlet Beach is located within the community. Lake Powell, the largest of the 30A coastal dune lakes is found in Inlet Beach. Inlet Beach has its own non-profit, member-owned water/sewer utility company. Please feel free to contact us to learn more about the Inlet Beach homes for sale, or any of the other breathtaking 30A communities that line the singular South Walton coastline! Davis Properties of Northwest Florida are your local real estate experts and will always keep your best interests at the forefront.